AWARDS: Awards to the top three male and female winners. Finisher medals for the first 175 finishers. Packet pick up is strongly recommended for Saturday May 30th, 4pm(8pm at Valley Stream Community Center to avoid race day rush. Online REGISTRATION $20.00 Pre registration deadline Friday, May 29,2015 at 8pm. You can register at packet pickup and day of race. ITS YOUR RACE can sync automatically (via an internet connection) with your Jaguar Timing System on race day to upload live splits and results. The results are searchable, and we provide breakdowns of an individual participant’s results. Photos can be added to the results for purchase directly through IYR. Get a Quote: Race Directors: Please use this form to confirm your 2015 dates and get a timing Quote. This is the oldest and best site on the internet for information on running on Long Island. Here you will find the most complete and up-to-date calender of upcoming races. In addition, there is a host of other information about what might be of interest to the running community on Long Island including where the best places are on the island to run, how to get in touch with a running club or running organization, where the best places are to get running shoes, and much, much more. We welcome all Long Island Races! We've teamed up with ItsYourRace and ResultsTiming to provide full race management services. Your free listing on the LIRunning calendar will get you great visibility for your race.Signing up for ItsYourRace is free too. Plus, when you sign up for their registration services you get a full range of race management tools. All at no cost to you. When you put an event on ITS YOUR RACE, you receive a custom URL for FREE on our website. Your page will have all event details, a link to register, links for participants to connect social media accounts, registration verification and more. Best of all, we do the set up for you!Send us a copy of your registration form or word or a pdf and a clean copy of your logo as a jpg. We'll set it up as listing only. Once set up we'll need you to fill out some business information and the we can make it live and start promoting your race. Send Your race ap and logo to islandrunning@yahoo.com Request LIRunning/ItsYourRace registration set up. Races and Results 5/25 Newsletter / IDid the Grid! May 30, Calverton: LI Adventure "Not just a MudRun"
We are proud to have worked with the The Cpl Christopher G. Scherer Memorial I DID THE GRID 4 Mile Run/Walk. What a great way to spend a Memorial Weekend. Thank you to all that have served and especially to all that have sacrificed all for our country. The race kicked off the Veterans Running Series. We look forward to seeing you at the other races. Next weeks newsletter will feature full June/July Calendars! Watch for our latest LIRunning newsletters. We are working on August calendar now and soon September! Plan C: ItsYourRace partners with ResultsTiming for Live Results with Photo's posted online while the race is going on. and personal results e mailed on site to pre registered runners. All finishers can print a personalized finish certificate with their time and place. See our results from the Caumsett 5K ResultsTiming is the only Long Island timer that can give you live results! Introducing our newsletter. Share the trail! Currently doing "Inventory Hikes" every wednessday till we reach Montauk. This week we reach East Hampton. The Veterans Running Series with I Did the Grid, Northport. 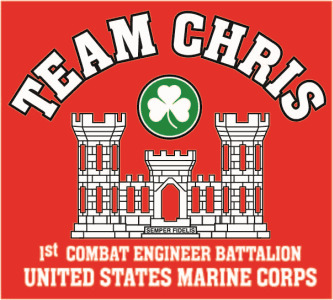 Go Team Chris! First in the Veterans Running Series. Speaking of veterans, I changed my profile picture today to honor my dad, WWII veteran, bronze and silver stars fighting in the Pacific. What a Weekend with It'sYourRace Live Online Results with Photo's! Next weeks newsletter will feature full June/July Calendars! Race Directors: Plan A: Confirm your races List your race for free at LIRunning.com Send me a photo of the start of last years race and I may place it here! We welcome all Long Island Races. Plan B: Use ItsYourRace-LIRunning for your online registration for better coverage and full year promotion of your race. It's free for you to use and we'll do the setup! Races on ItsYourRace recieve free listings on our newsletters. Send us your registration form and we'll set you up. Send to islandrunning@yahoo.com. Plan C: ItsYourRace partners with ResultsTiming for Live Results with Photo's posted online while the race is going on. and personal results e mailed on site to pre registered runners. All finishers can print a personalized finish certificate with their time and place.